On today's show, Pat welcomes The Blogfather, owner and voice of Pro Football Talk, and dear friend of the show, Mike Florio, to chat about the upcoming NFL draft. They discuss who can be trusted during draft week and what certain teams' mindsets are going in. They also cover a few new ideas for prospects coming into the NFL to go to the draft and make a little money, Pat asks Florio to get to the bottom of the Gruden/Mayock/scouting debacle in Oakland and whether that is that common, what he's currently hearing about Kyler Murray and if he's still the #1 pick, and whether Mike has heard anything in relation to Pat in the Monday Night Football booth (4:13-23:32). 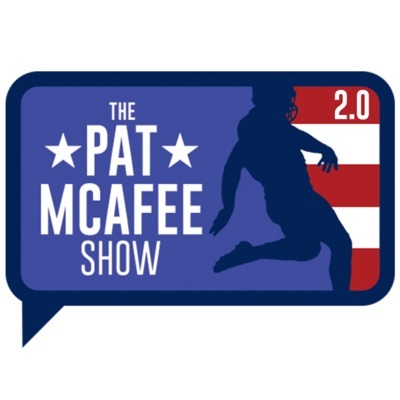 Pat and the boys also discuss their upcoming comedy tour, "Pat McAfee Does America," which will be in six different cities this summer with tickets going on sale next Monday. They also cover Pat's weekend in Nashville and how he got mistaken for Jackson Maine, the boys have a little Hockey Talk as they check in on the NHL playoffs, and a little hoops talk as they all make a bet with Gorman about who will win the NBA championship. The guys also cover Game of Thrones, as Pat is now all the way in and arguably one of the biggest fans of the series. After the show, stick around as Todd goes Behind the Badge and breaks down some of the new breaks in the Delphi murders case in Delphi, IN from two years ago. It's a good one. Come and laugh with us, cheers.